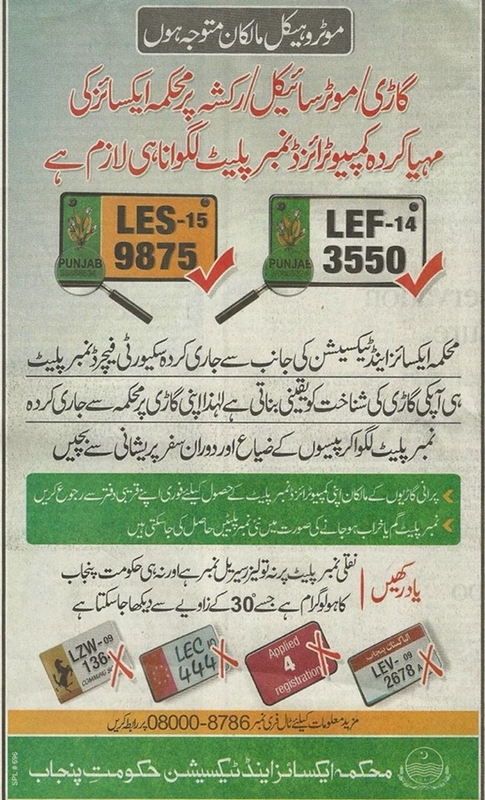 Issuance of computerized number plates have been started in Punjab for old vehicles (cars, bikes and commercial vehicles etc). If computerized number plate for your car or motor bike has not yet been issued, you can get it just by paying the fee at the office of Motor Registering Authority. 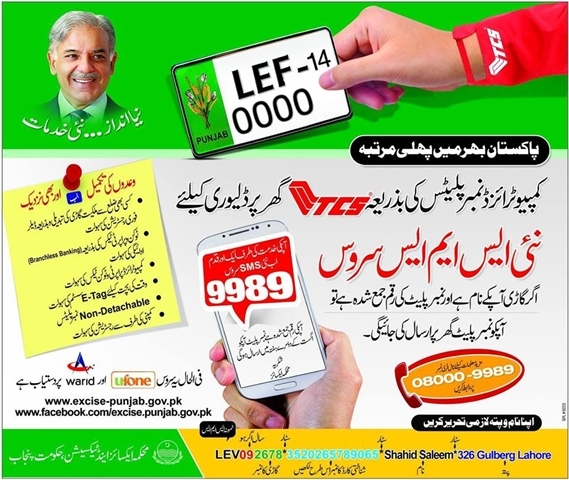 If your number plate has been broken or lost, you can also get issued a duplicate number plate by paying the fee. Price of computerized number plate for car and commercial vehicle is Rs.1200 while for ricksha and motor bike is Rs.750. Computerized number plates will be delivered at your home address through TCS Courier Service. 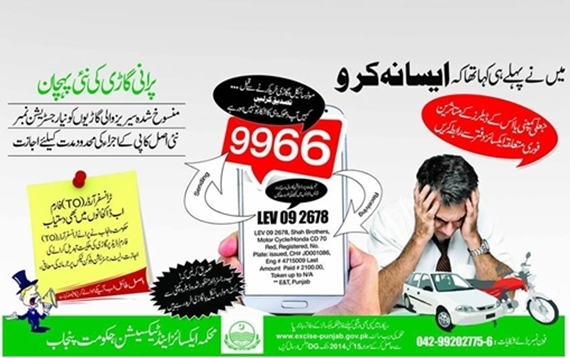 If you have deposited the fee, you can get status of your number plate by sending your vehicle number, CNIC number, name and address to 9989. 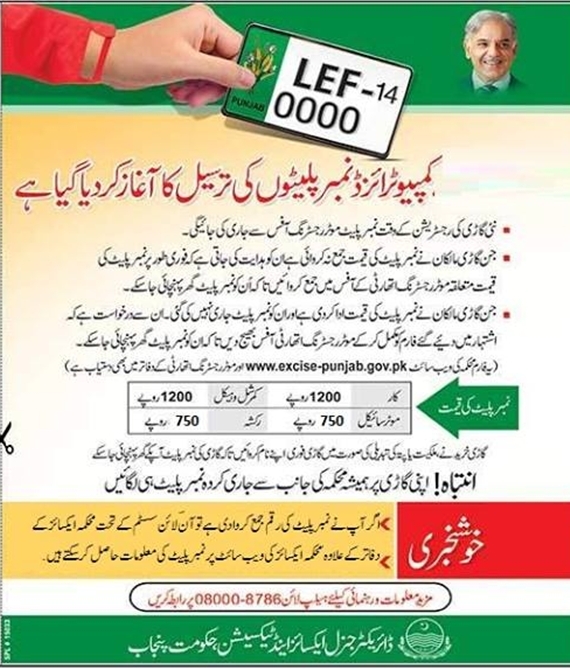 Use printout of following form to apply for issuance of number plate. Visit nearest Motor Registering Authority Office with duly filled application form, original file, registration book, token tax certificate etc. Click on the following images to see enlarged. Facility to fill the form online should be provided in the system. 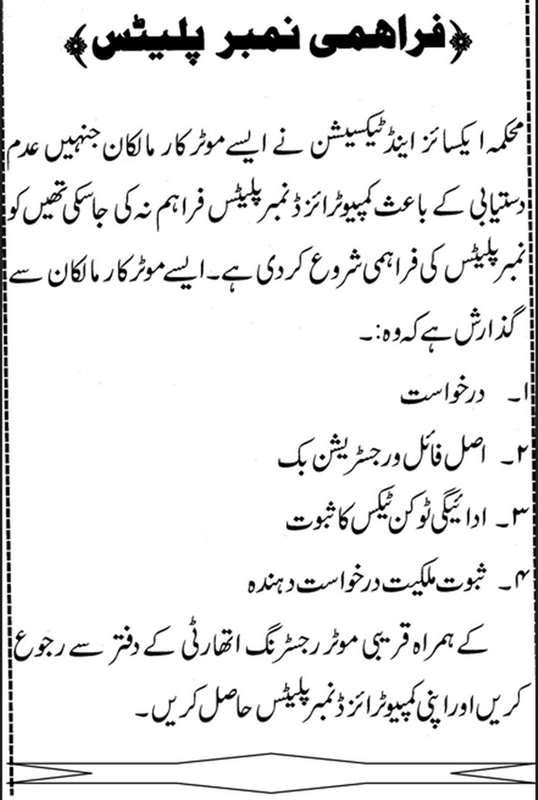 Online submission of form should be added in the record and acknowledgement number should be issued to the applicant. Excise should be able to tell approximate date of delivery of the Registration Book and Number Plates to the applicant online. Fees form should be devised with clear instructions whether the fees should be deposited with a bank or in the Excise office. 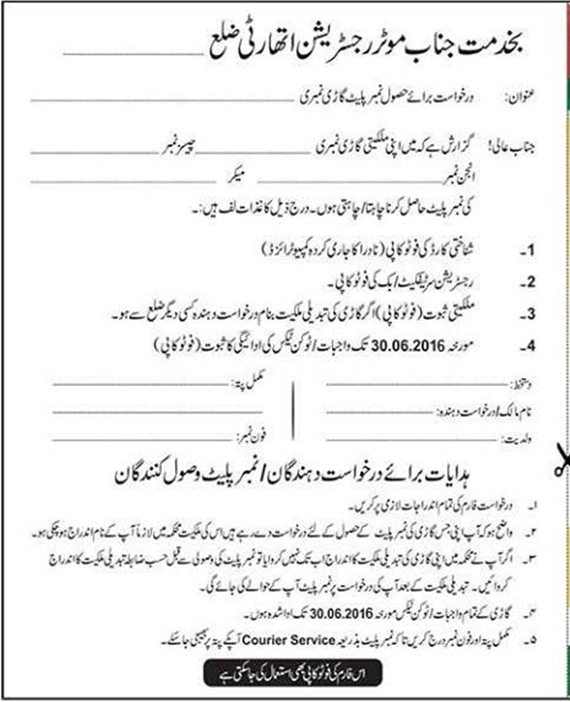 Can I apply Rawalpindi registered vehicle in Lahore?